When we published our Sue-per Bowl post, 2015 looked like it would be a good year for right of publicity claims brought by athletes. On January 6, 2015, the Ninth Circuit in Davis v. Electronic Arts held that the First Amendment did not compel dismissal of right of publicity claims brought by former NFL stars who appeared in the “historic teams” option of the Madden NFL computer game. However, things went downhill after that: other than Davis, the first six months of 2015 have not been kind to right of publicity claims in the sports world. Here is a recap of the first half highlights. In 2013, former Universal Wrestling Federation star Steve “Wild Thing” Ray filed suit in Missouri state court alleging that ESPN had infringed his right of publicity by telecasting his old matches on ESPN Classic. Ray brought this claim despite the undisputed fact that ESPN had lawfully licensed the right to air the programs. ESPN removed the matter to the Western District of Missouri and moved to dismiss on the ground that Ray’s claims were preempted by the Copyright Act. The District Court agreed and, in April 2015, the Eighth Circuit affirmed. Ray did not allege that his name or likeness was used in an advertisement, or was even the focus of any particular promotional efforts. Rather, the Court held that his claim rested solely on the appearance of his image within the copyrighted television program. Therefore, his right of publicity claim was preempted. It all started when former Olympic figure skater Oksana Baiul allegedly pulled out of an exhibition skating event that was scheduled to be aired by NBC. Due to a miscommunication, Baiul’s name was not removed from an NBC press release. The press release had extremely limited distribution (in fact, NBC temporarily uploaded the document only to a single password-protected site). Nevertheless, in 2013, Baiul brought claims against NBC for violation of the Lanham Act and infringement of her right of publicity under New York Civil Rights Law § 51. Baiul alleged tens of millions of dollars in damages. In 2014, Judge Katherine B. Forrest of the Southern District of New York granted NBC’s motion for summary judgment. Judge Forrest held that Baiul’s claims were “wholly without merit” because NBC had not made any commercial use of Baiul’s name or likeness, and because Baiul had presented “no credible evidence whatsoever that she suffered any damage at all” (emphasis in original). Some of Judge Forrest’s skepticism towards Baiul’s case may stem from the fact that her claim was based on an undisputed — and quickly corrected — clerical error. But Judge Forrest also was not happy that Baiul and her attorney issued “more than 28 subpoenas on numerous third parties who had no discernible connection to her claims in this action,” apparently in service of discovery in an unrelated matter in another jurisdiction. Consequently, Judge Forrest found this to be an “exceptional case” within the meaning of 15 U.S.C. § 1117(a), and awarded NBC about $100,000 in attorneys’ fees. On June 23, 2015, the Second Circuit made short work of Baiul’s appeal, issuing a summary order of affirmance. In mid-2014, a group of former Catholic University basketball players filed a putative class action against T3Media, Inc., alleging violation of their right of publicity under California law. T3Media had licensed from the NCAA the copyright to thousands of photographs of college sporting events, including photographs of the plaintiffs, which it then sub-licensed over the internet. T3Media moved to strike the complaint pursuant to California’s anti-SLAPP statute, on the grounds that the lawsuit was brought to deter an exercise of free speech, and because the plaintiffs had no likelihood of success on the merits. In 2015, the Central District of California agreed: because the right of publicity claims were based wholly on the fact that the players were depicted in the copyrighted photographs, the claims were preempted by the Copyright Act. The Court subsequently awarded T3Media nearly $200,000 in attorneys’ fees pursuant to the anti-SLAPP statute and California Civil Code §3344(a), which provides for fee awards in right of publicity cases. The matter has been appealed to the Ninth Circuit Court of Appeals. In 2014, eight former college football and basketball players brought a putative class action against just about everyone who profits from college sports, including television networks, school conferences and even talent agents. The complaint, which included right of publicity claims under the common law and a Tennessee statute, alleged a conspiracy to effectively rob college athletes of the value of their names, images and likenesses without compensation. Although the NCAA was not named as a defendant, the plaintiffs alleged that the organization and its rules were at the center of the conspiracy. On June 8, 2015, the Middle District of Tennessee dismissed the case, including the right of publicity claims. The Court stated that, irrespective of whether it was fair to profit off the backs of uncompensated college athletes, the plaintiffs had failed to state a claim. The Court found no authority for the proposition that participants in sporting events have a right of publicity in their mere participation. On the contrary, the Court cited case law dismissing similar claims on First Amendment grounds and/or pursuant to the “newsworthiness” and “public interest” exceptions to the right of publicity. Even Michael Jordan’s right of publicity claim had a setback in the first half of 2015. Back in 2010, Jewel Food Stores took out a full-page ad in a commemorative issue of Sports Illustrated. 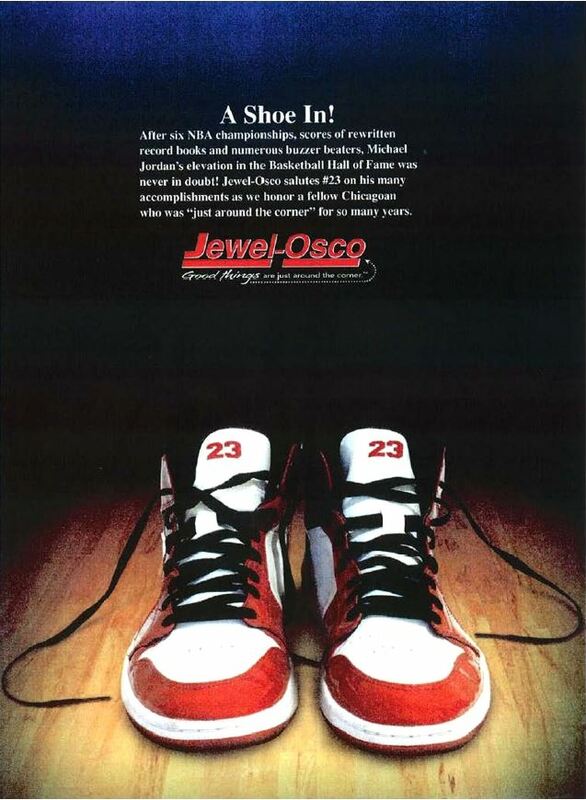 The ad didn’t hawk any particular product or service; it was just picture of some “Number 23” basketball shoes under the Jewel Food Stores logo, with a message congratulating Jordan on the occasion of his induction into the Basketball Hall of Fame. Jordan brought claims against the supermarket chain for violation of his right of publicity. Judge Gary Feinerman of the Northern District of Illinois dismissed the count on First Amendment grounds, holding that the ad was noncommercial speech. But on appeal, the Seventh Circuit reversed and reinstated Jordan’s claim. On remand, Jordan moved for summary judgment, relying on the Seventh Circuit’s favorable ruling. But Judge Feinerman was still guarding the net: although the Seventh Circuit held that the ad was “commercial speech” for First Amendment purposes, it expressly did not decide whether the ad served a “commercial purpose” under the Illinois right of publicity statute. Because Jordan’s attorneys apparently gave short shrift to this distinction in their summary judgment brief, Judge Feinerman rejected the motion. A jury trial is scheduled to begin in early December 2015.